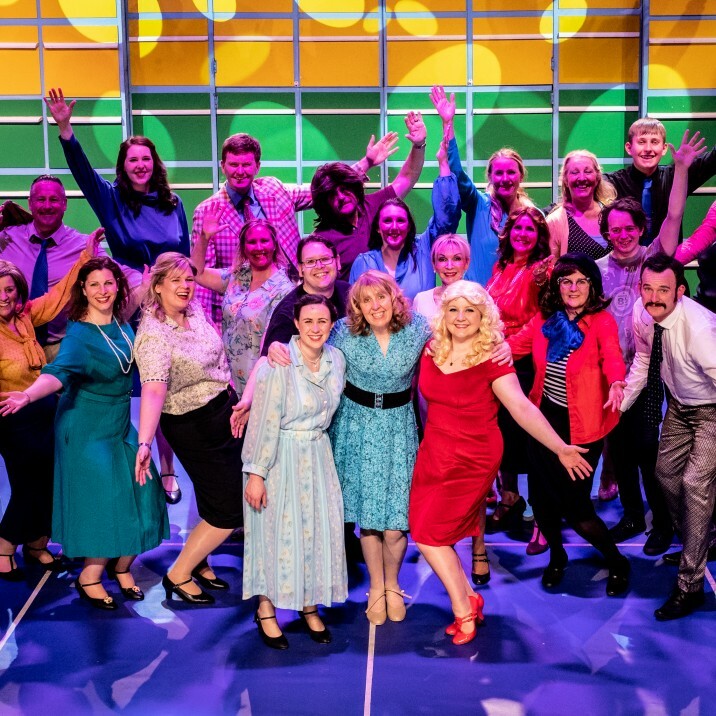 The talented cast of Perth Amateur Operatic Society (PAOS) are bringing a fun and sassy production of ‘9 to 5’ the Musical to Perth Theatre this week. Inspired by the cult 1980 film of the same name, the smash-hit musical features the Tony award-nominated score by Dolly Parton. The plot follows three workmates Violet, Doralee and Judy as they cope with office life under the management of their egotistical and sexist boss Franklin Hart Jr. Tired of Hart’s misogynistic behaviours and bonded by their hope for a fairer workplace, the trio find themselves taking drastic steps to overturn the office power-balance. Directed by Robert Nee, the PAOS production is an energetic and colourful comedy, with a hilariously-delivered script and funky upbeat music directed by Joe Whiteman. The set is vibrant, striking and clever. The female leads are an unstoppable trio with a growing camaraderie.The female leads are an unstoppable trio with a growing camaraderie. PAOS stalwart Jane Taylor takes the lead as independent mum and office supervisor Violet, while Nicola Hay impresses with strong vocals as nervous new-girl Judy. Bekki Mackenzie is wonderfully cast as the bubbly and misunderstood Doralee: the part made famous by Dolly Parton in the film. The powerhouse trio meet their match in Jonathan Cammidge who plays Franklin Hart. Mr Cammidge’s first-class portrayal is arrogant, pathetic and funny in all the right amounts, ensuring an antagonist everyone loves to hate. 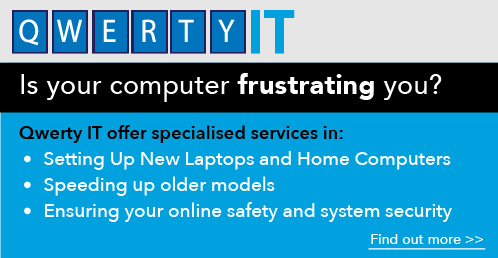 As their confidence grows, the trio become fearsome in their pursuit of a better workplace, while delivering a decent dose of revenge to the unsuspecting Hart. But it’s not all tales of payback and empowerment. The ‘9 to 5’ plot is laced with the love stories of Violet and the sweet and dependable accountant Joe played by Christie Young, and the unrequited love of workplace snitch Roz, played by Anne Kemp. From Liesa Flood-Wallace’s portrayal of Margaret, the office lush passed out on the desk by scene two, to the naïve Mrs Hart played by Anna Jellye, the well-chosen show offers many small principle parts that showcase this talented cast. The PAOS chorus is lively, with Robyn Goodfellow taking on the choreography. From Liesa Flood-Wallace’s portrayal of Margaret, the office lush passed out on the desk by scene two, to the naïve Mrs Hart played by Anna Jellye, the well-chosen show offers many small principle parts that showcase this talented cast. Once again, this amateur society proves that they are amateur only in name. 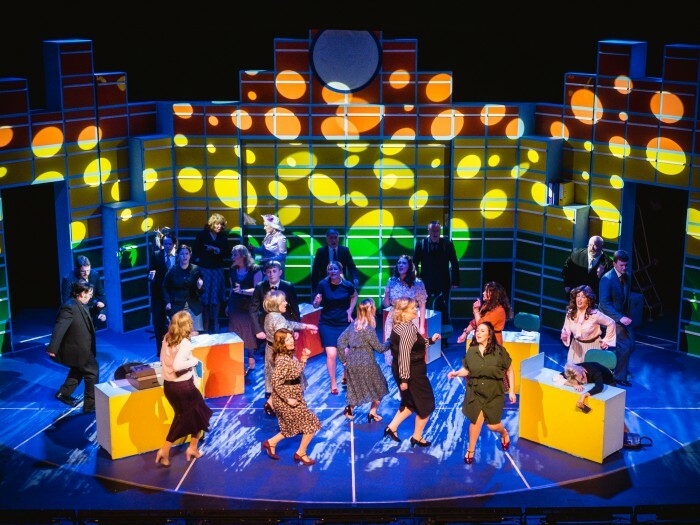 Upbeat, fun and downright hilarious, ‘9 To 5’ entertains and packs a girl-powered punch. 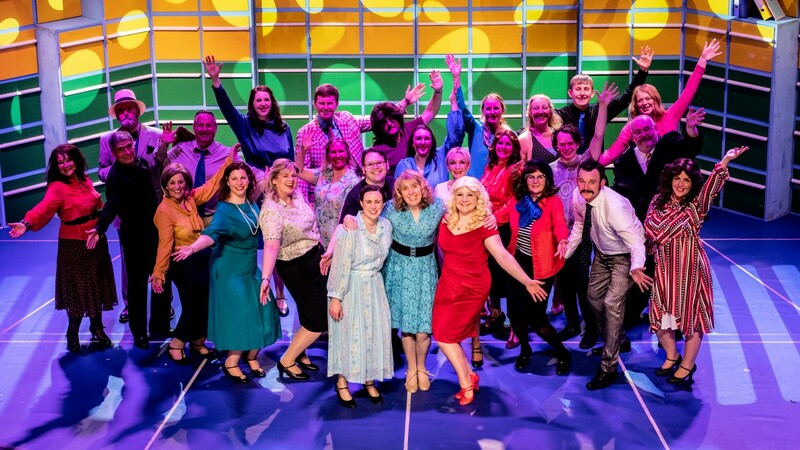 ‘9 to 5’ runs every evening until Saturday 13 April at 7.30pm (with a matinee performance on Saturday afternoon, 2pm). 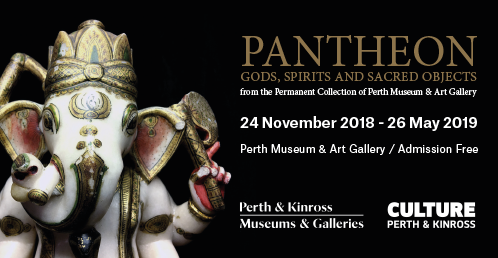 Tickets available from Horsecross box office.